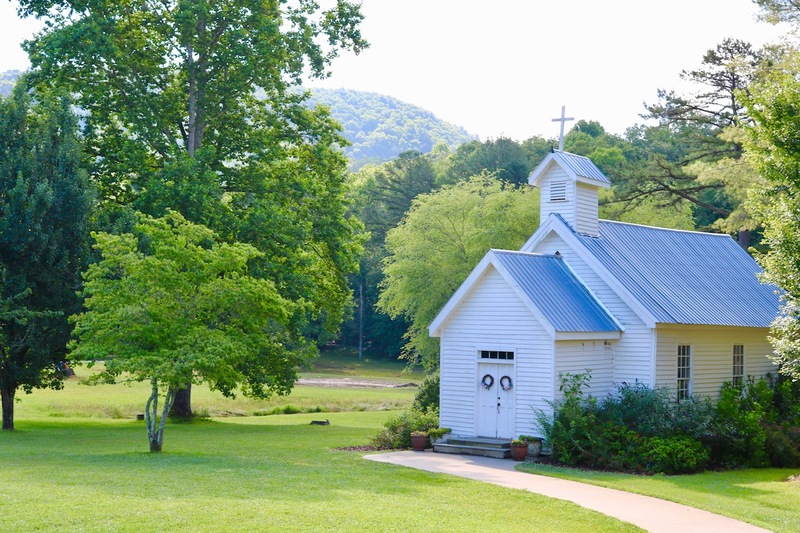 I recently spent the week as a chaperone at my favorite Catholic summer camp, Covecrest, in Tiger, GA. After returning from the relaxing, prayerful week, I reflected on seven incredible ways life is just so much better at camp. I hope you enjoy this post! You can also read my first post about Covecrest by clicking here. In spending the week in the mountains of Georgia, my only concern was being my best self, in serving the teens and loving the Lord. I wasn’t bothered with wearing makeup, worrying about how I looked, or stressing about anything at all (shocking, right?!). We took our teens’ phones for the week so they could fully immerse themselves in camp and not be distracted by anything else (which we also did every time I was a camper, and it was honestly such a nice break from social media/reality). While they did grumble and complain a bit about being separated from their phones, they were mostly grateful and relieved to have that break for the week. 2. It’s easier to feel God’s presence. Maybe it was the 2000+ft elevation, or maybe the escape from ‘normal life’, but I’ve never felt closer to God than I have during each of my visits to Covecrest. While we had lots of fun ‘normal’ summer camp activities like rock climbing, white water rafting, and outdoor games, our main focus was growing closer to Christ. With God at the center, everything else falls second. Sure, God is the same everywhere, but it’s truly incredible to be somewhere it’s so easy to feel close to God. 3. There is so little stress. This may just be the most amazing part, besides #2. I can honestly say that this week at camp was the least stressed and most at peace I’ve felt in months, and that was a total ‘God-thing’. The LSAT and spring semester were over. For one of the few times in my life, I truly wasn’t worried about a single boy or friend-drama. I was only focused on that present moment, those campers, and enjoying the view. 4. Even the coffee tastes better. I’ll admit camp food isn’t always the best, but I’ve seen some serious improvement in it since my first time at Covecrest in 2012. I started a morning tradition of ‘Coffee Talks with Kristen’ in the morning, where some of the ladies and I woke up 30-45 minutes earlier than we needed to, just to sit outside and enjoy our coffee and soak up the view. These moments, in candid friendship and realness, sitting in the stillness and beauty of God’s creation, were some of my absolute favorite from the whole week. 5. Friendships are more genuine. Coming back from college as a chaperone to camp, I only knew a handful of the high schoolers before camp started. Despite that, it was so easy to truly get to know people, with so little noise and distraction. I served as a small group leader for 8 young women, so I spent most of my time with them. But I can honestly say that some of my best friendships, even to this day, started out at camp. You can’t really get to know someone in the ‘real world’ as easily and genuinely as you can when you spend the week trekking through mud pits, climbing obstacle courses, and participating in daily mass and prayer with them. My favorite part of returning to camp as a chaperone was seeing our church’s teens set, crush, and surpass their personal goals. The morning of our ‘ropes’ day (including zip lines, rock walls, and team building obstacles), I had each member of my small group set a personal goal. Whether it was to get to the top of the rock wall, to finally do the trust fall, or to just try something new, every single one of them passed their goal. In both the physical and faith aspects of camp, anything seemed possible. God can and will make it happen. God did make it happen. 7. God’s love is so obvious. In such a serene setting, surrounded by such faith-focused people, the devil had nowhere to hide. Even with feeling so close to God, that didn’t make His almighty plan for my life seem any less frightening, but the peace and clarify only He can bring is exactly what I’ve been praying for. The theme of camp this year is ‘Relentless Father’ (and you know we jammed to ‘Reckless Love’ all week long) and the week’s sessions/talks from our host Jimmy Mitchell revolved around God as our almighty, ever-loving, all-forgiving father. Life really is just better at Covecrest. I hope this post helped inspire you or remind you that God isn’t so far away. If you liked this, you can also give my other Covecrest blog post a read. Thanks for being here, and for following along! Blessings!